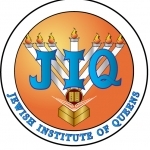 Parent volunteers are a vital resource for JIQ. As a volunteer, you'll have an opportunity to spend time meeting other parents, learning more about how things work at JIQ and enriching the lives of our students. PTA BOARD MEMBER ELECTIONS-DUE BY AUGUST 5TH! President: Coordinates officers and committees, presides at PTA meetings and works closely with the Principals. Time: Presides at monthly evening PTA board meetings. Year-long commitment including work over summer. VP (Programs): Responsible for implementing the PTA goal of parent education and fundraising events. year depending on choice of educational initiative. Secretary: Attends and records Minutes at all PTA Board meetings. Create PTA webpage and send home bi-weekly or monthly PTA newsletters. Variable workload. Treasurer: Keeps permanent books of all monetary transactions and performs all duties expected of a Treasurer. Run annual membership campaign. Time: Attends monthly evening PTA Board meetings in addition to a workload that varies.